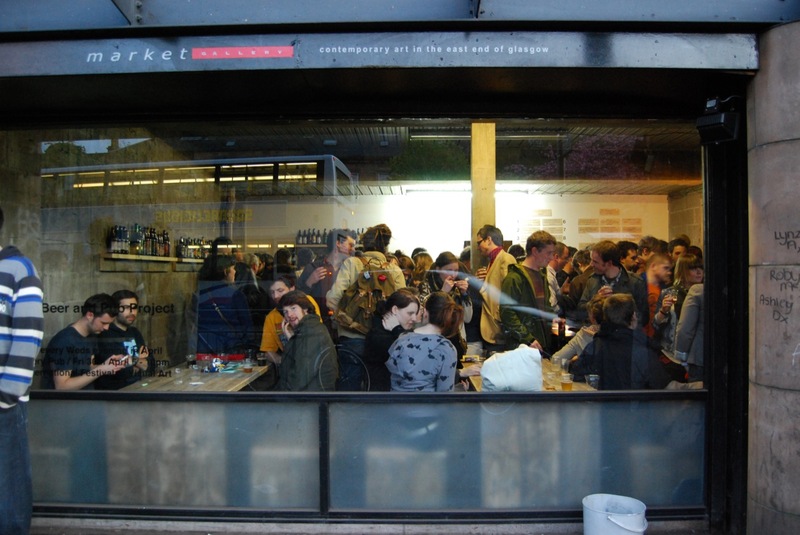 Pub School was a month long educational beer program I created in Glasgow, Scotland as part of the International Festival of Visual Art in April, 2010. The program culminated in a one night pop-up pub with hundreds of visitors. Previous to that, I organized a weekly series of events that invited people to explore Glasgow pub culture. There was a homebrew demonstration, brewery tour, meet the brewer event, and a beer book club. At each event, people could see the progress on the bar, which opened during the final week of the program. 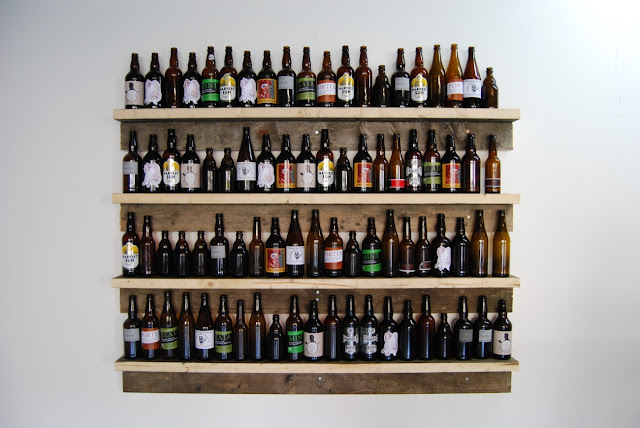 For the pop-up pub I worked with 17 Glasgow homebrewers to make 27 varieties of beer. I held meetings where participating brewers could brainstorm ways to best present the beer and share their thoughts on the building of the bar. These meetings built a strong level of solidarity and a real sense of community. We gave away the beer for free. 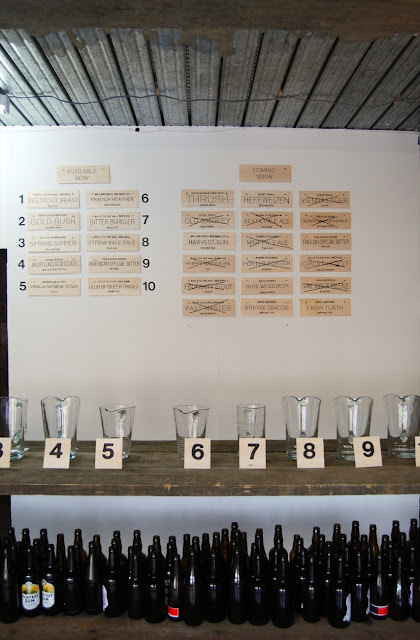 Ten beers were on tap at a time, and one rotated out every couple minutes. 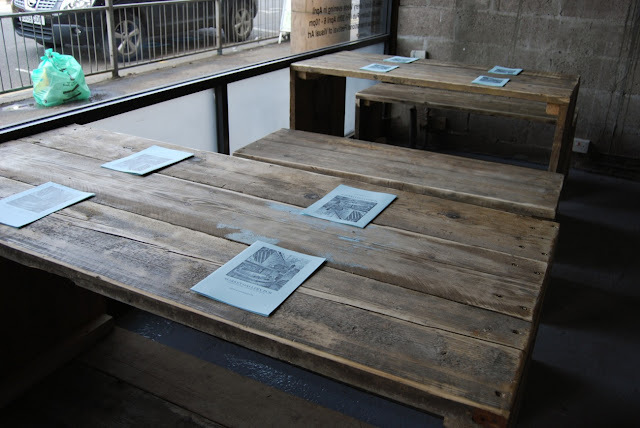 I built the bar, tables, and chairs with wood from a local recycler and I created a sixteen page menu for the event. Since then, a couple of the participating homebrewers decided to start Glasgow Beer Week and they have attributed my program as their starting point (see my reference page). Three of the homebrewers are now commercial brewers, two started their own brewery after winning an award for their Profanity Stout at the event. One brewer now works for Fyne Ales and in an interview he mentions this event as the reason he was able to become a commercial brewer. 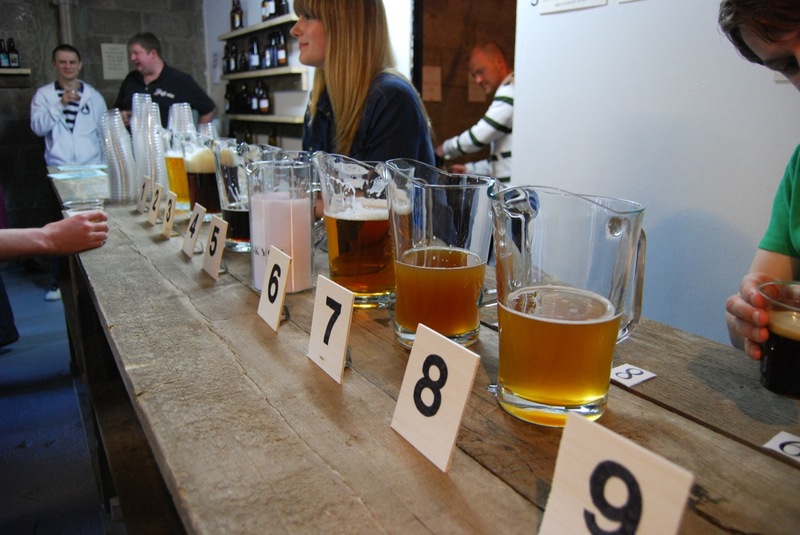 The homebrewers were able to have their beer judged in the International Beer Challenge. Additionally Williams Bros. Brewing and I judged the beers and chose one to be rebrewed on their commercial system. That beer was the Profanity Stout, which also kick-started the Williams Bros. "Chapeau" line of beers.